Abraham was a man of incredible faith. His story is remarkable in trusting God in matters that seemed completely without hope. At the age of 75 he left everything he knew to go to a land where he did not know for a purpose he was unclear. He and Sarah were promised a son that took 25 years to see fruition. More implausible was the natural ability to give birth to a son considering she was 90 years of age and he 100. It was understood in his day there came an age when the womb died and childbearing was impossible. This would not be a matter of chance but a matter of impossibility. These were not the days of Noah where men lived to bear children into their multiple hundreds of years. The Lord promised Abraham and Sarah a son and it was impossible for this to be a natural occurrence. 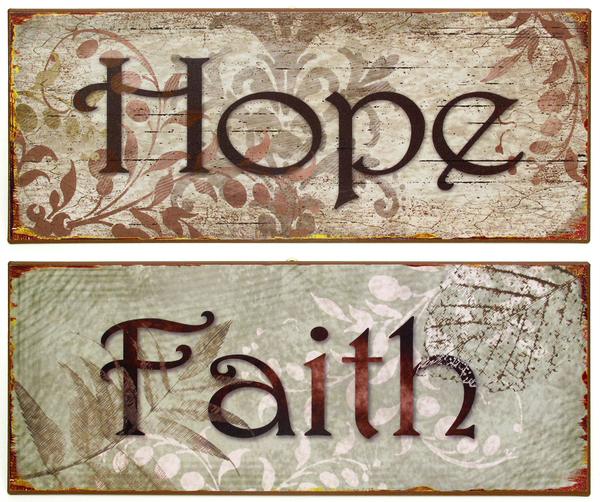 Faith and hope are inseparable. The Lord comes to Abraham telling him that one day he would have a son. Contrary to everything he knew, the man from Ur of the Chaldeans believed. He was not weak in faith. Knowing at his advanced age there would be no possibility of him conceiving a son, he firmly believed that God would bring about exactly what was promised. Abraham also knew that having a son by his wife (ten years younger than he) was impossible but he knew that God could perform what He promised. It is easy to sit on this side of the story and not appreciate the immensity of the hope and faith Abraham had in the power of God. Two elements of the faith of Abraham are at the heart of the story. He did not waver at the promise of God because his faith was not dormant. Faith is an active persuasion of the soul constantly changing the up-look of God’s powerful grace to accomplish everything promised. Abraham was strengthened in faith. His belief in the power of God was daily evidence fortifying his assurance in the impossible. Faith that does not grow diminishes hope and when hope dies, faith is dead. Second, he was fully convinced. He had no question about the ability of God to perform what He promised. Abraham was absolutely convinced he would have a son. Faith cannot be fully realized until there is a complete conviction of the heart that God’s word is true – whether it is understood or not. God is able to perform what He says. Abraham’s faith was not a special faith. His hope in the impossible was not unique to the days of the patriarchs. His faith, hope and blessed assurance are rooted in the doctrine of Jesus Christ. Essential to the character of the people of God are the elements of having the faith of Abraham. What is impossible for man is possible with God if we believe. The Lord God of hosts will perform His will and His word for man today. Sins can be washed away. Hope restored. Forgiveness granted. Heaven promised. Do not waver. Believe.